Well, typhoon Chanchu turned out to be a bit of a fizzer for us. 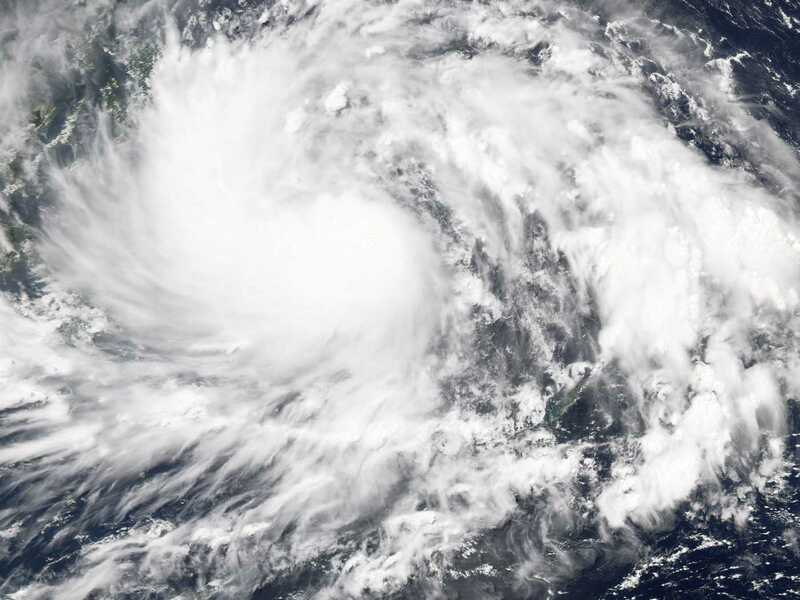 Hong Kong was bracing itself and Chanchu ended up turning more towards the east. Net result was that the only impact we felt was a windy Tuesday and a rainy Wednesday. Quite a let-down really. 41 people were killed in the Philippines and all we got was some rain. The above image of the typhoon is from NASA. The red “x” in the middle of this image denotes Hong Kong. 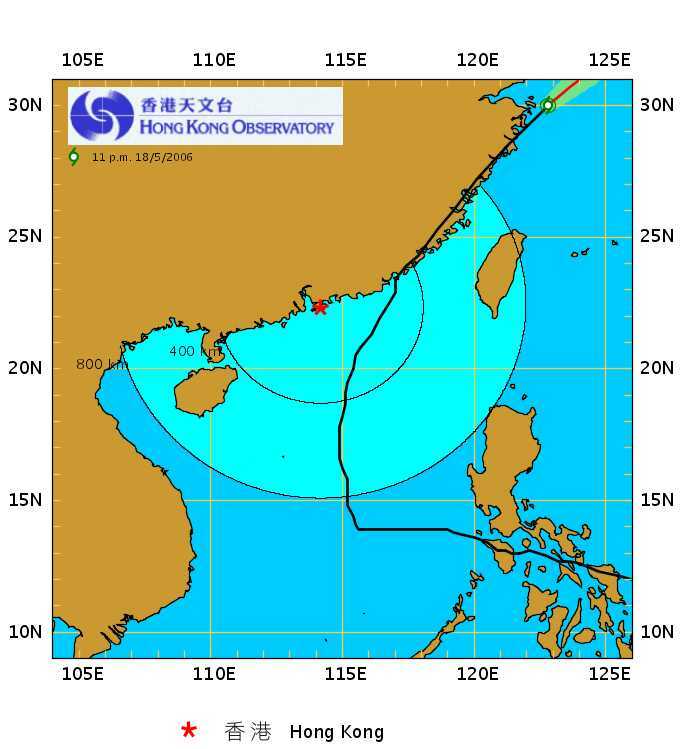 The black line is the mapped path of the typhoon to date.